Enrico's Mullet is his original mullet imitation in a classic dark over light color pattern. 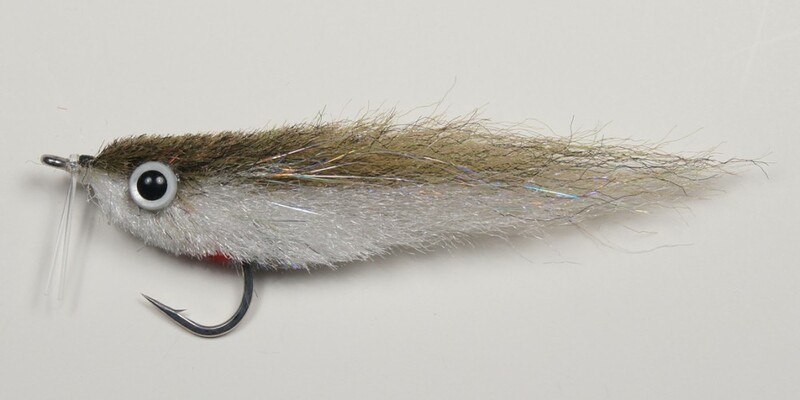 This is a deadly tarpon fly, and has also been very effective on striped bass in the northeast when fish are feeding on mullet and herring type baits. Great fly for the backcountry, "bridge" fishing, and more. Shown above is an enlarged view of the #2/0 Slate Black/White color - click color names below to view other colors. The #2/0 flies feature a monofilament weedguard; the #3/0's do not. 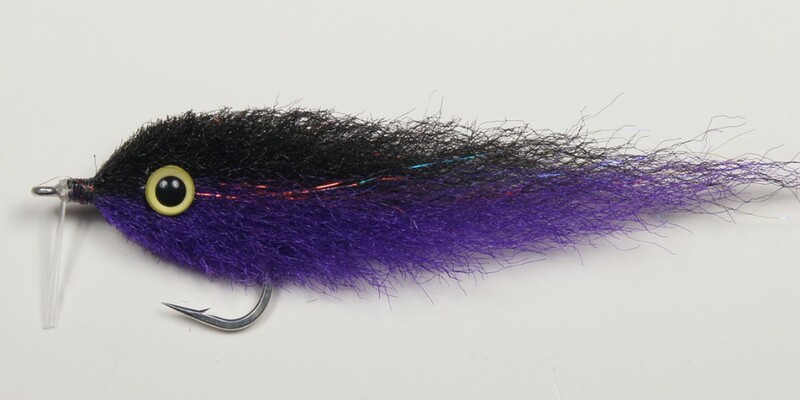 The classic Black/Purple is a good fly for dark water. 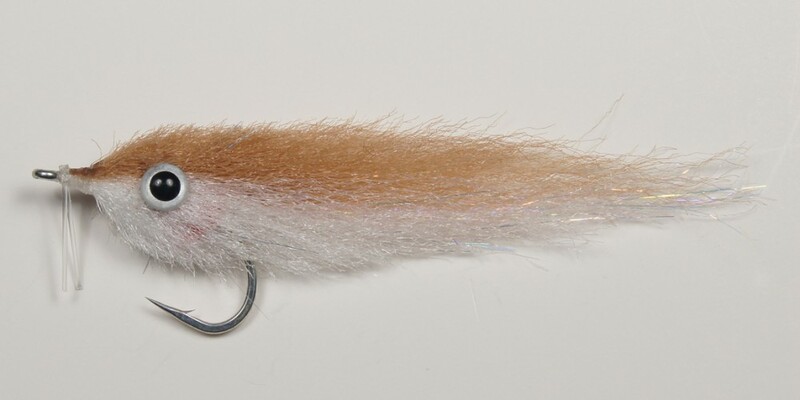 Tied a bit "rounder" than the Mullet flies shown above; the Finger Mullet flies push just a bit more water - useful for dark water & backcountry conditions, night fishing, and more. 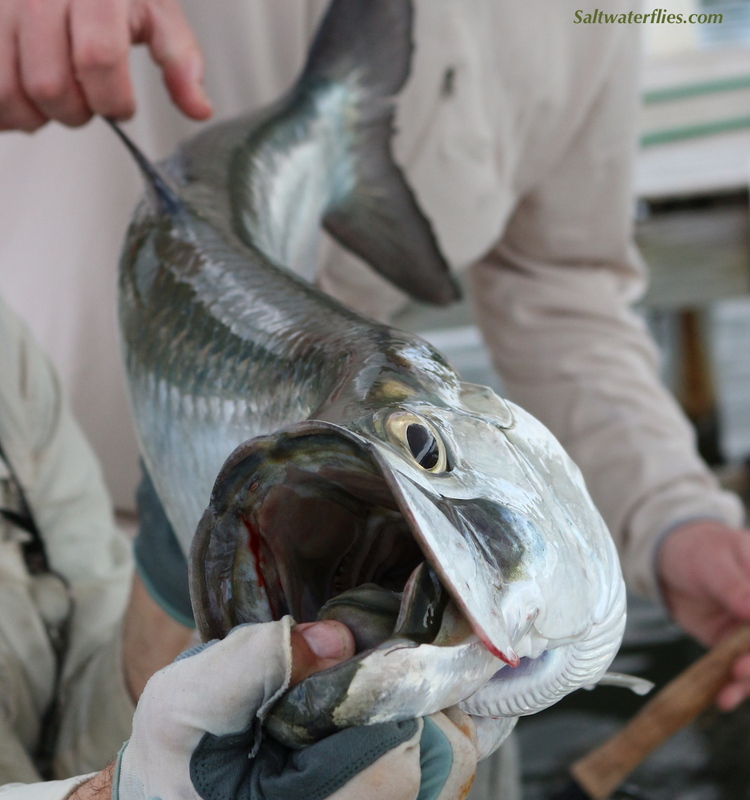 The #2/0 in the standard Olive/White is one of our all-time favorite tarpon flies, along with the #1/0 fly as a top pattern for snook & baby tarpon. These flies also feature a monofilament weedguard for fishing in shallow weedy or brushy areas. 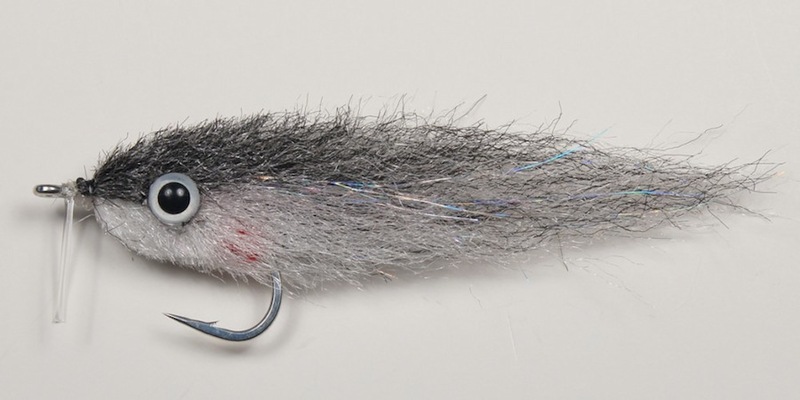 Enrico's Mullet and Finger Mullet flies are tied on super sharp Gamakatsu hooks. The total length of the #1/0 fly is approximately 2 1/4 inches long (6 cm). The #2/0 flies are approximately 3 1/2 inches long. Tied by Enrico Puglisi Ltd.